There are some who rejoice in the eerie calm of a storm and there are others who rush for shelter. Regardless of one’s personal views, there is no doubt that extreme weather can have profound effects on local, state and national economies. Are these effects positive or negative? Well, it depends. In light of recent extreme weather events such as the drought in California, flooding in Texas and record snowfall in the northeast, read on to learn about some of the ways that extreme weather can affect the economy. 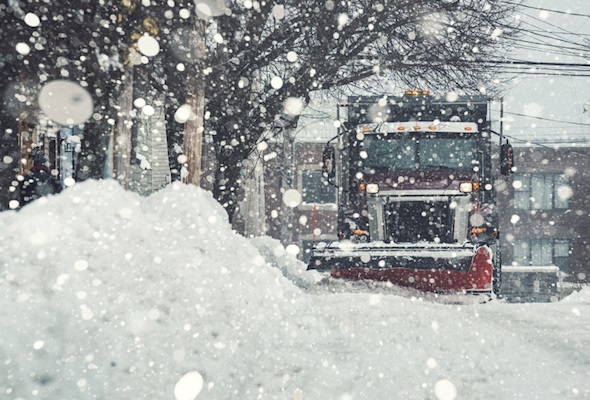 Significant storms preclude many workers from being able to report to their jobs and that can create significant declines in revenue for the duration of the inclement weather, or even a much longer period of time. What’s more, consumer activity is usually suppressed during extreme weather events. Not many people are browsing and shopping during major snow- or rainfall. Thus we often see massive losses in sales and revenue. For example, according to Planalytics, the snowstorm that hit the northeast in late January eliminated $500 million in sales, even though the storm did not even remotely live up to expectations. Extreme weather tends to incite fear amongst the general population. Common behaviors in response to dangerous forecasts include filling up gas tanks and stocking up on essential items such as nonperishable food, water, flashlights and batteries, in the event that power outages ensue. While such behaviors can pump significant money into local economies, this effect is usually temporary. Insurance companies also see more activity in the aftermath of extreme weather events as people worry about ‘what if’ it happened to them. The Insurance Council of Texas recently reported that less than half of homeowners affected by the flooding in Texas had flood insurance plans in place for their homes. After this tragic event, companies that offer flood insurance policies may very well see a spike in interest. 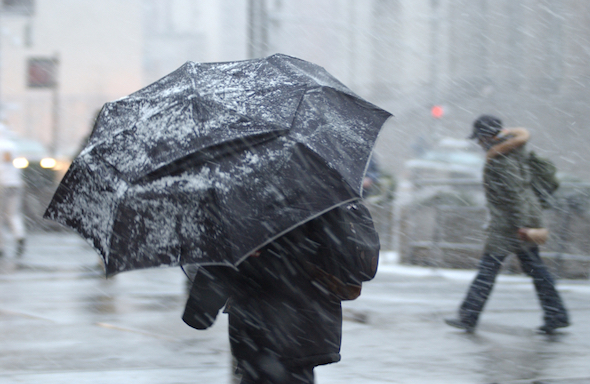 Extreme weather can also inspire companies to innovate in preparation for future occurrences. For the winter season, products that have become commonplace include snow chains for automobile tires and snow blowers for quick snow removal. In anticipation of tornadoes and hurricanes, innovators have developed products like hurricane shutters, doors that can sustain heavy wind-pressure and concrete walls. Related Article: Who Wins in Winter Weather? Snow removal, rehabilitation and repair efforts can cost a lot of money. For example, the city of Buffalo budgeted approximately $9 million for snow removal alone in 2014-2015. BBVA Compass economists estimate the recent flooding caused by heavy rains in parts of Texas to cost anywhere between $200 million and $550 million. This cost accounts for physical damage, in addition to lost productivity and revenue. California governor Jerry Brown recently proposed a $1 billion plan that will bring aid to the communities hit the hardest by the current statewide drought. This will create jobs locally. So extreme weather can both stimulate economies while also costing city, state and national governments great amounts. What happens when forecasts are incorrect? While meteorologists are very skilled and technology is ever-advancing, forecasts are still predictions of the future. There is no guarantee of accuracy and when it comes to weather, things can change very rapidly. But when it comes down to it, people hate being told the wrong thing. So when communities are being instructed to take significant precautions against impending weather conditions and the conditions don’t ever come, people are often not pleased, to say the least. This sort of discontent can lead to a general sense of distrust, especially with regards to where their precious tax money is going. It can also lead to people not listening to authorities the next time extreme weather is predicted, leading to more costly damages or clean-up efforts. There are a great variety of factors that show the economic effects of weather. Some of these effects are positive (inciting innovation and creating jobs) while others are negative (lost productivity). 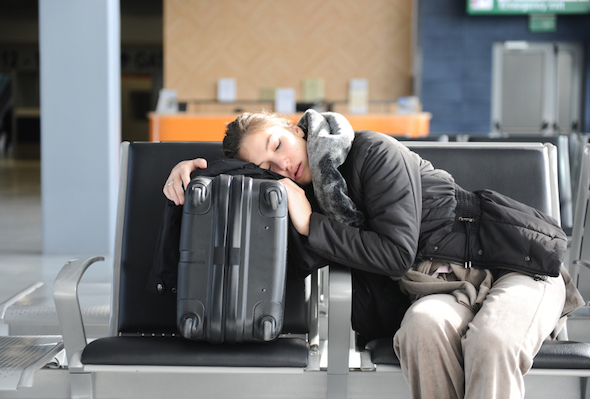 Whether that hurricane hits or changes course at the last minute, whether you get excited for a big storm or hibernate until it’s over, whether you get the day off or get called in for extra hours, the economy will likely feel the impact. Many people make rash decisions when the market is volatile. To avoid letting your emotions influence your investing decisions, consider working with a financial advisor. A matching tool like SmartAsset’s can help you find a person to work with to meet your needs. First you’ll answer a series of questions about your situation and your goals. Then the program will narrow down your options to up to three financial advisors who suit your needs. You can then read their profiles to learn more about them, interview them on the phone or in person and choose who to work with in the future. This allows you to find a good fit while the program does much of the hard work for you. Amelia Xu Amelia Xu has a degree in Economics from Princeton University. She is an expert in investing and taxes. Amelia is a Long Island native.